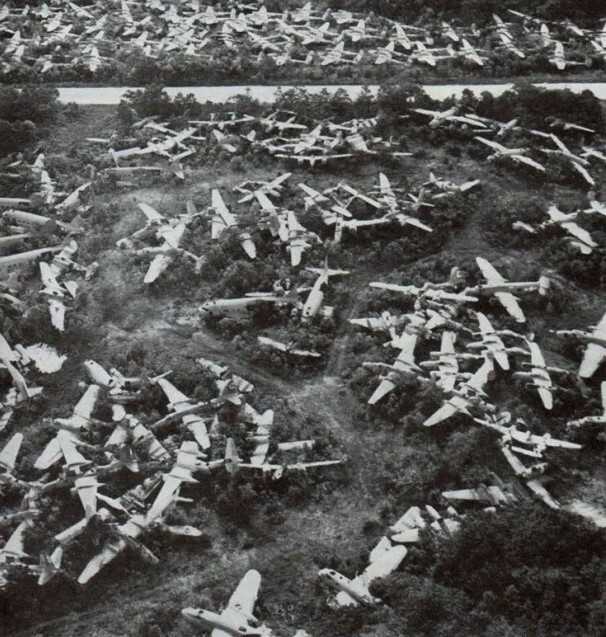 Home Today I Learned World War II Airplane Graveyards – What a waste! 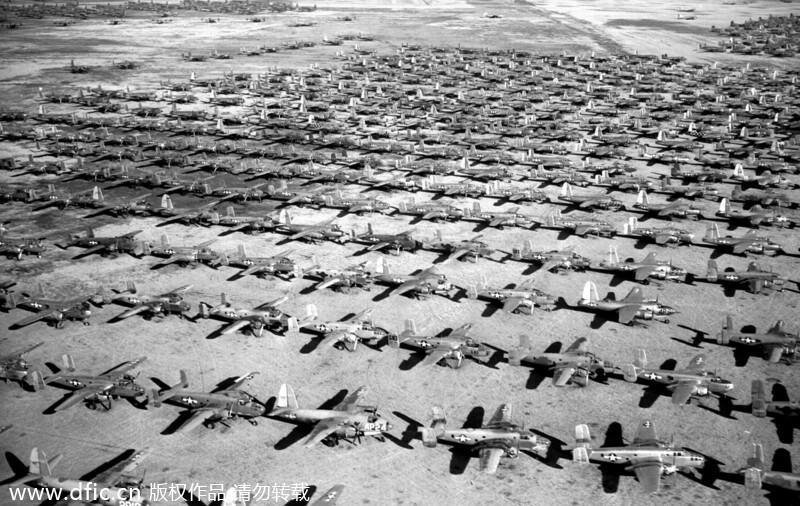 After the end of World War II, thousands of bomber and fighter aircraft were no longer required, even though they were still rolling off of production lines across the country. 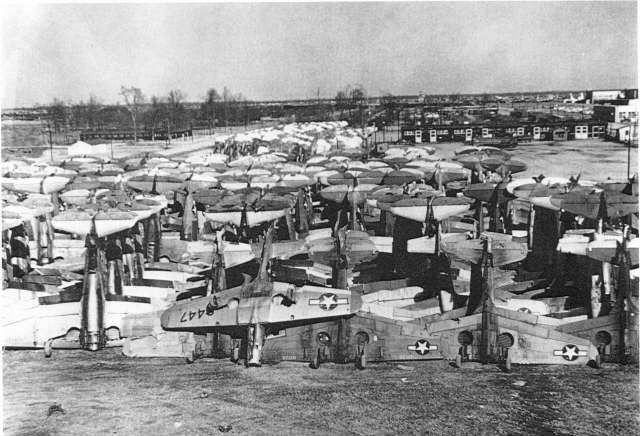 Masses of bombers and fighters were ultimately sent to aircraft boneyards and storage sites across the USA and mothballed or recycled. 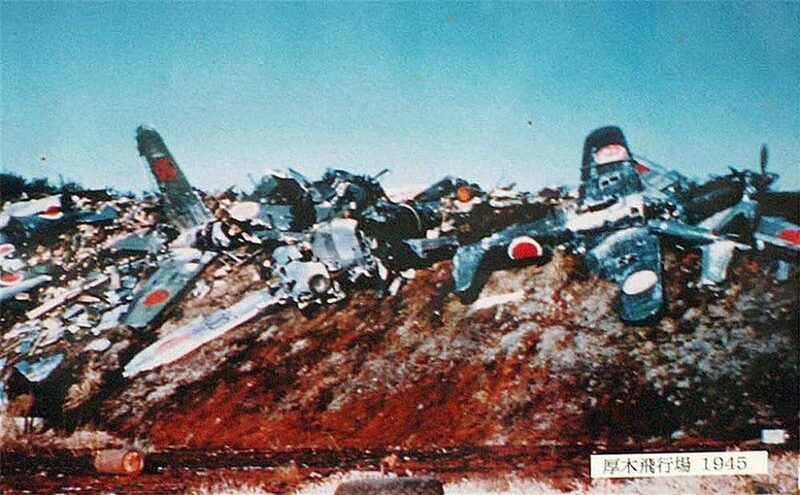 Even brand new planes were sent to graveyards, having been outdated as technological advances in weaponry and design were quick. 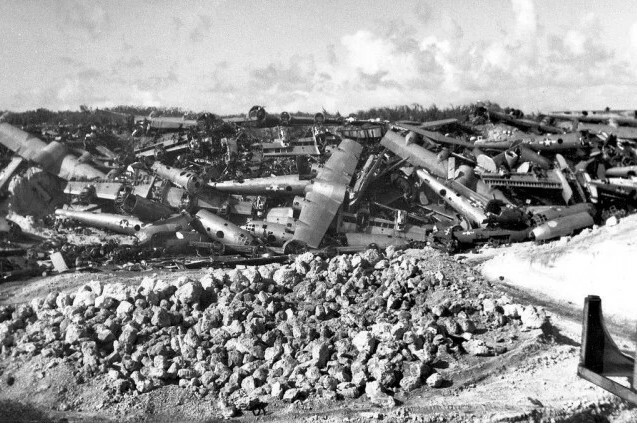 P38 Lightnings scrapped in the Philippines after the end of the war. 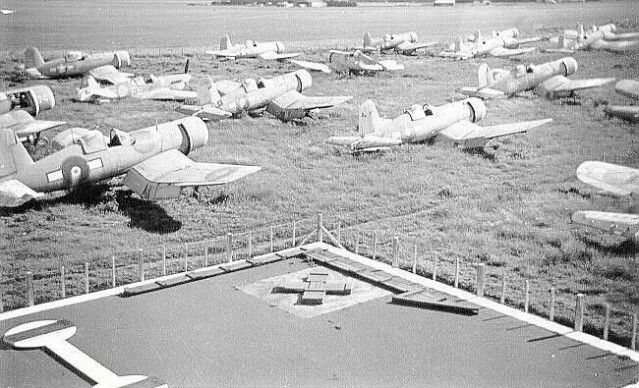 Almost every small airfield across the planet became unnecessary after the WWII ended. 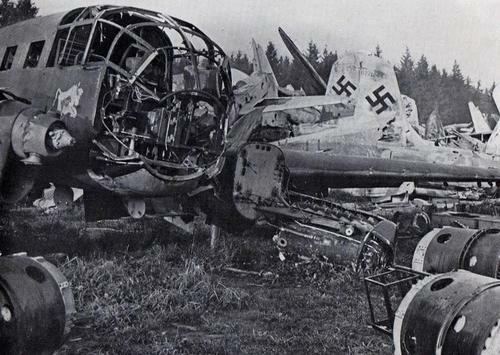 Some aircraft were flown back to their country of origin, but most were deemed useless as technology progressed and just abandoned in the scrub-land and left to rot, with their weapons removed. 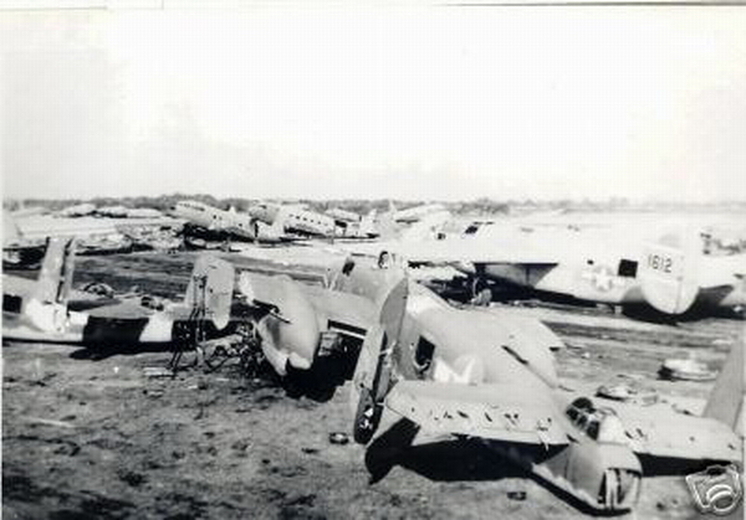 B-25 and C-47 boneyard, probably Clark AB in the Philippines. 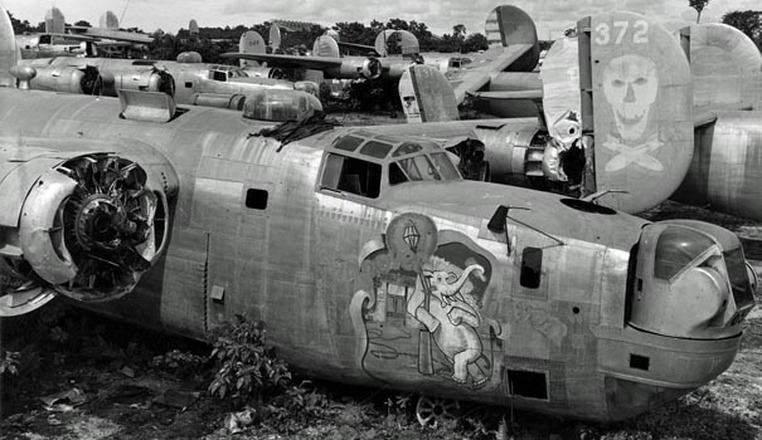 B-24 HANGOVER HAVEN II in the Biak dump after just 12 operational missions. 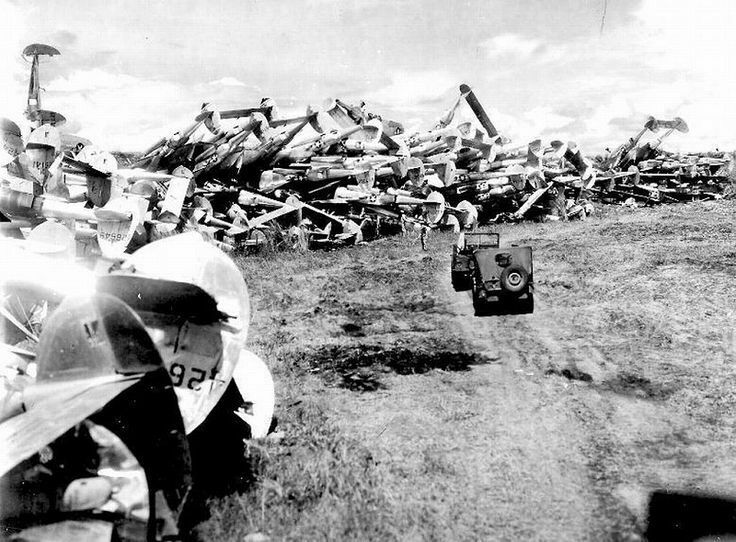 During WWII crash landed airplanes were cast aside on massive airplane piles. 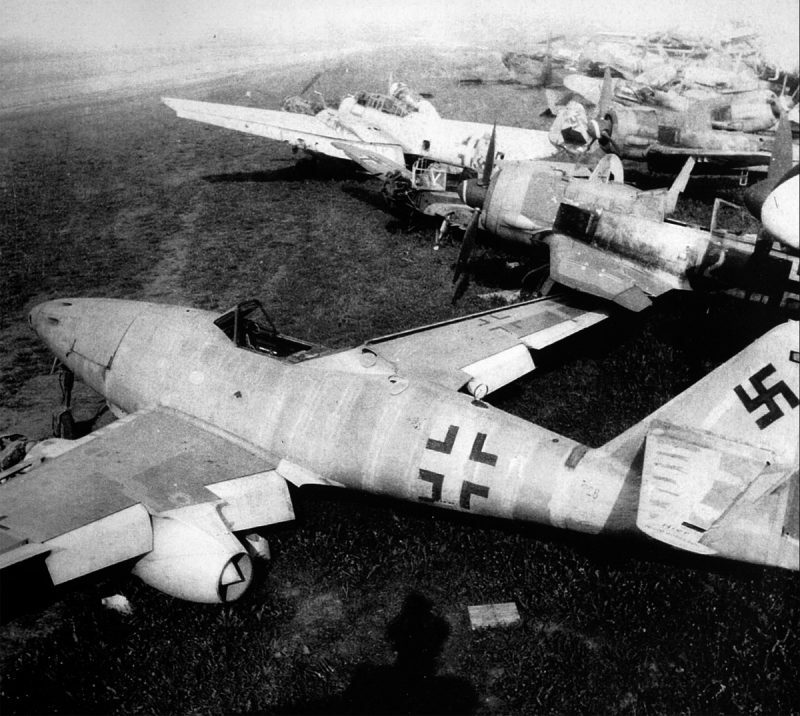 As the war progressed enemy airbases also fell into Allied hands, with destroyed airplanes. 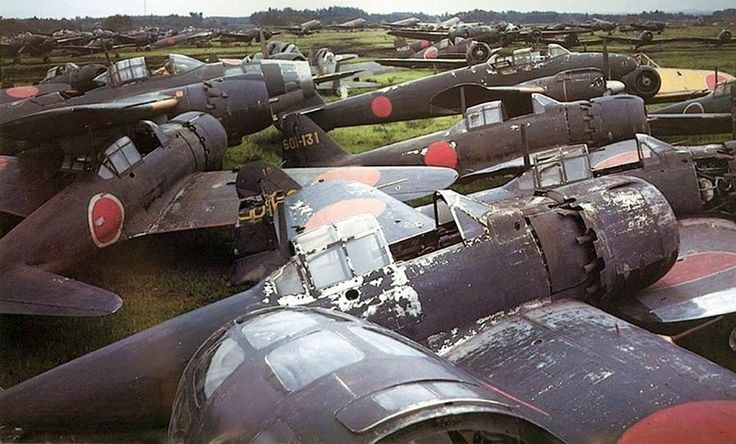 As you can see, these are very sad images of, now would be priceless warbirds that were left to rot outside waiting their turn to be recycled.